Check out www.desert-endurance.com for all your multisport coaching needs. Quality coaching with unlimited email communication starts at $175/mo. Evaluation of past training. Initial set up of training zones. Develop future goals specific to the individual athlete. Workouts are sent in blocks of two to three weeks via Training Peaks. Unlimited communication via email. Testing to asses fitness gains, taper plan, race day pacing and nutrition plan. We also offer programs for youth and juniors! 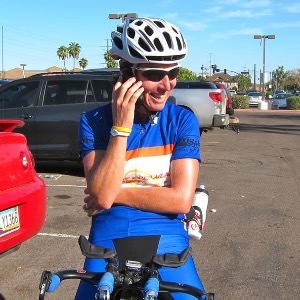 My mission is to provide exceptional personalized multisport coaching. I strive to help my clients achieve THEIR fitness and race performance goals while providing the education and tools necessary to train and perform at the highest possible level. I believe that ongoing communication between athlete and coach is crucial to success. I have experience coaching beginners through elite athletes. From 5Kers to Ultra Endurance athletes. Check out our Athletes in Action page on our website. Success. Coach Jennifer Lynn has been notified of your message.